Superman is back and this time he’s up against Etrigan! Etrigan has some pretty intense strength and even punched Superman to the moon! Of course Superman has the massive speed advantage. He also has had more power ups over the years to help boost his rank up. Superman wins. 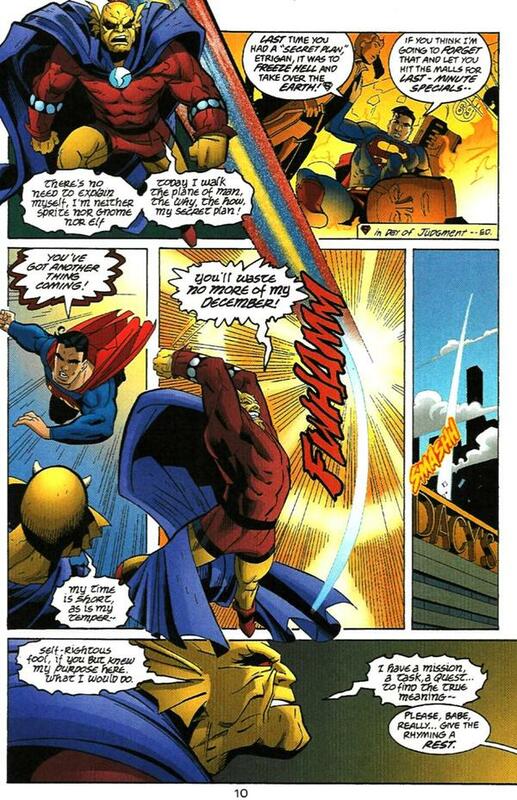 This entry was posted in Battles, Etrigan Battles, Superman Battles and tagged Etrigan, Superman by dreager1. Bookmark the permalink.